Milton Falls Media, Inc., 9781945354038, 130pp. 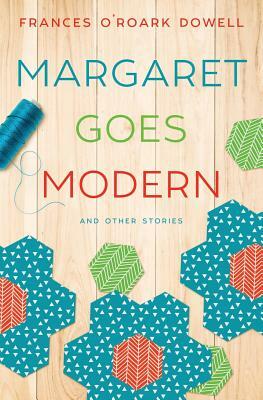 From Frances O'Roark Dowell, the author of Birds in the Air, comes Margaret Goes Modern, a touching, big-hearted collection of short stories about women whose lives revolve around family, friends and quilt-making. Meet Margaret, whose adventures in a new quilting group help her reconnect with her daughter as they grieve the slow loss of a loved one to Alzheimer's. Then there's Liz, a quilter seeking her own tribe in a neighborhood of perfect moms. But maybe she has more in common with her neighbors than she thinks. Lisa is still reckoning with the loss of her best friend. Diving headfirst into a new quilt project, she learns that sometimes a gift can be a first step toward healing.